What would you do if one of your best employees told you today: “I’m resigning.” They’re talented, and thanks to you, they’re now more experienced. Unfortunately, they’re now taking that competitive advantage elsewhere. You don’t just lose one person – you lose business momentum. Your teams are now understaffed, and new hires may take months to adjust to their new position. Other employees start to ask, “If he left, maybe I should too.” Instead of focusing on goals, everyone (including you!) now must deal with lower productivity, engagement and morale, as well as the stress of a sudden change. 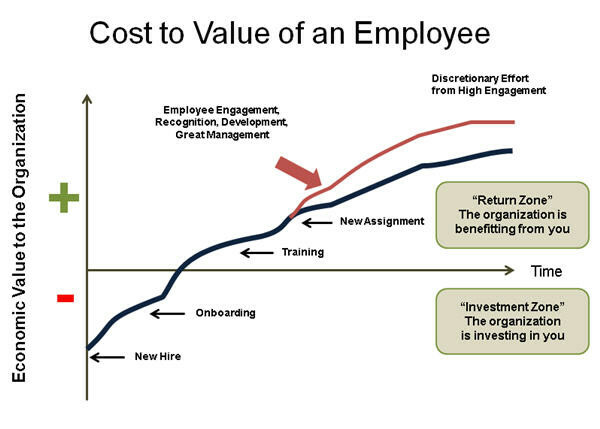 When you have high employee turnover, you are investing in talent and losing them before you get significant returns. That’s why retention is a critical and urgent business concern. If you really care about productivity, results, revenue and ROI, you must give attention to the employees who drive it. According to HR Dive, exit interviews revealed that the top reason for leaving a job was career development (22%) and work-life balance (12%). Compensation and benefits were just 9% -- tied with well-being and even ranking below conflicts with managers (11%). That means people stay where they see that they can grow. Your best people want to become better, and even your underperformers want to succeed but they don’t know how. While you are measuring their performance in terms of profit, they are actually looking at a much more powerful metric: personal fulfillment and transformation. The good news is that both are aligned. When your people grow, your company grows too. It takes more effort to engage employees emotionally, but once you do, you ride on their personal desire to succeed. They become naturally self-motivated and invested in results. But so they don’t burn out, or grow dissatisfied by a one-way relationship where they keep giving and get nothing in return, show them that their personal growth is a company priority. “As leaders, we need to be more empathetic and show our employees that their career progression is on our minds and offer clear opportunities for growth and change,” says Forbes. Meet with employees one-on-one. Get to know their personalities, what they want from their careers, and daily pain points. For the price of treating one employee to coffee, you let them know that you value them as people. You also get a concrete idea of how they personally define “growth.” Some will know exactly what they want, others will need coaching to articulate what will help them succeed. It’s also important to get to the grassroots: break out of the bubble of meeting only with managers, and understand what is going on in all levels of your organization. Get the big picture. Ask HR for data on employee turnover per department or job level. Ask for summaries on exit interviews, or even contact previous employees for valuable feedback. Use this to flag situations, processes or personalities that could be affecting employee morale and satisfaction. If you notice that employees consistently complain about processes or people, flag it as a company priority and resolve it with the top-level managers. Treat it like a crisis, because it is. Find allies. No single person (even the CEO) can create a culture of growth and personal learning. Identify like-minded individuals who can excite, motivate and inspire people on their level. Single out possible mentors who have the personality and experience to coach others, and incentivize their involvement. Speak to other business managers about how to motivate, engage and train employees. Only then can you create a movement and a culture that reflects how growth is a company directive, and not a momentary motivational poster. Invest in a growth platform. Treat employee retention the same way you’d treat customer retention or lead conversion. All of these contribute to ROI, and deserve mechanisms that keep them running all throughout the year. For example, Grow enables teams to set both personal career goals and team targets, share feedback, and get support from peers and mentors. “Because Grow embeds development in the work, teams achieve high performance by owning their growth while collaborating with each other in a psychologically safe virtual space,” shares Rudi Ramin, Grow CEO. Break down walls and politics. Do not reward behavior that is counterproductive to personal growth. This includes gossip and backstabbing (establish a meritocracy!) and bureaucratic processes where feedback is filtered by several managers before it reaches you. Process should enable growth, not stifle it. Talk to your HR manager about how to implement growth at every level of your organization, and use employee feedback to know what needs to be changed. To find out more about Grow and how you can automate your personal development tools in your company, schedule a demo today.